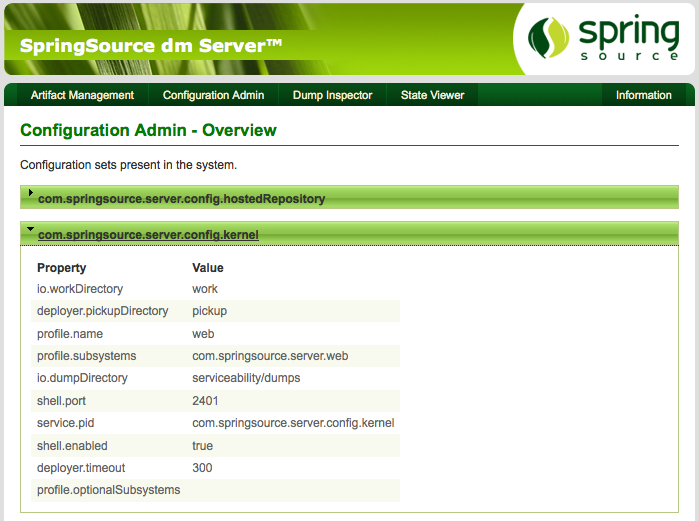 dm Server 2.0.0.M4 has been released, and is now available for download. We’ve made a lot of progress since 2.0.0.M3, adding a number of new features upon which the users tracking the nightly builds have already given us some excellent feedback. Take a look at the M4 release notes if you’re interested in seeing everything that we’ve been working on. Please keep your feedback coming as comments on our blog, in the forums, and on JIRA. The logging support is now based on LogBack which means that users now have complete control over the format of log output and have the complete range of LogBack’s appenders available to them. Support for serviceability dumps is now fully extensible. User code running in dm Server can now contribute to serviceability dumps simply by publishing a DumpContributor implementation to the service registry. Event log support (the coded messages that are output to the console) is also available to user code. 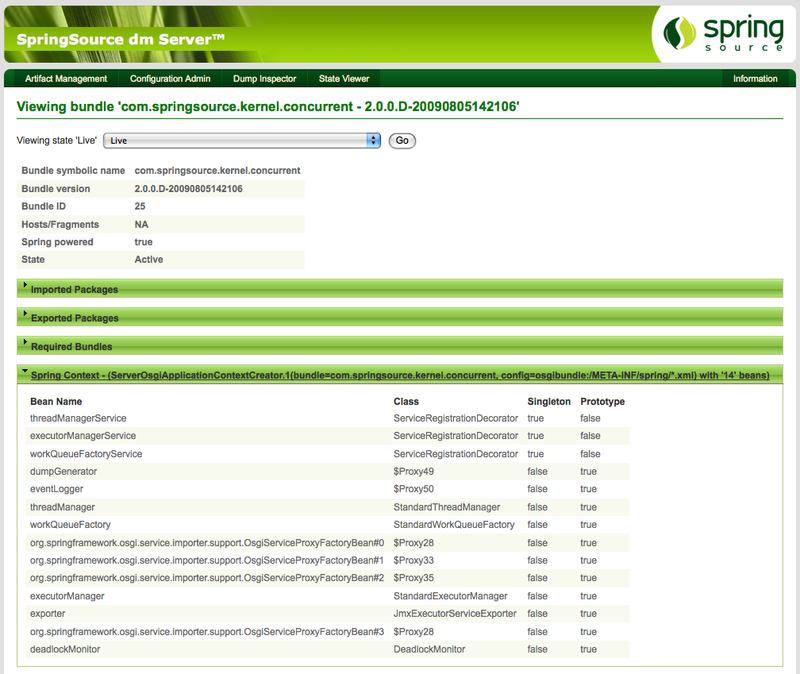 Event log entries can be generated using an EventLogger which can be obtained from the service registry. We’ll be blogging more about Medic, covering how to use it both in dm Server and in plain OSGi, in the coming weeks. Properties files can now be deployed to dm Server, either through the admin console, or by dropping them into the pickup directory. When a properties file is deployed, a ConfigurationAdmin Configuration is created with a pid derived from the name of the properties file. For example deploying a properties file named com.foo.bar.properties will create a Configuration with the pid com.foo.bar. We’ve some significant improvements to the admin console in M4. Chris already covered some of these in his recent blog.